If you have a chimney that needs repairing, re-pointing or even a total chimney rebuild, MT Roofing & Scaffolding are here to help. Reclaimed chimney pots supplied and/or fitted. Chimney cowls and vents installed and replaced. Chimneys need to be well maintained to prevent problems that occur when chimneys are left to deteriorate. 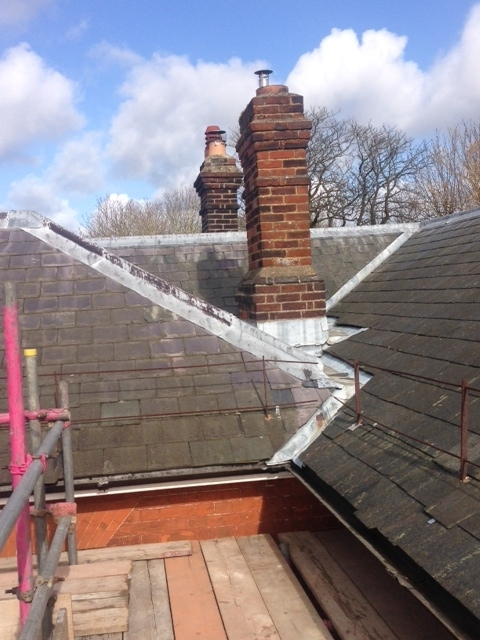 Brickwork, stonework, mortar and lead flashing all decay over time and need repair or replacement to protect your house from water leaks and to keep your chimney stack strong and able to withstand strong winds and gales. 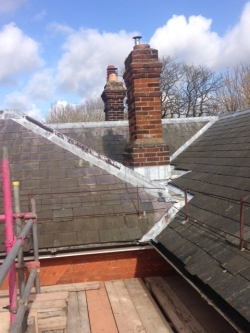 Chimney stacks are susceptible to damage from wind, rain and frost and once they start to deteriorate it can rapidly lead to the need to replace or rebuild the entire structure to avoid extensive damage to other parts of the building. 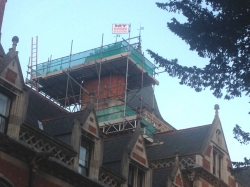 We have years of experience in chimney replacement having worked on thousands of Cambridge properties and because we are a combined roofing and scaffolding contractor we can keep costs down and pass these savings on to our clients.